Alex Solis’ newest resin figure is here, and it’s the hilarious Pokemon inspired Pokeballs. I think the name about says it all with this one!!! 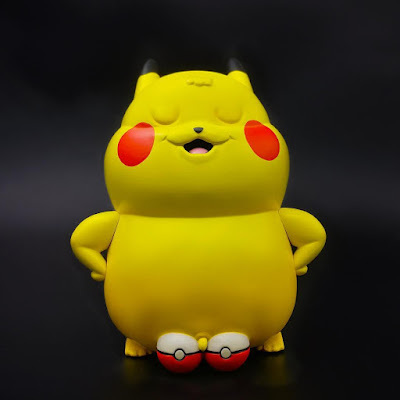 I guess we now know what an unedited version of Pikachu might look like? Pokeballs stands 5” tall and is limited to just 250 pieces. Packaged in a printed box with foam inserts, this limited edition figure is now available for pre-order at the Oddworx online store for $49.99.